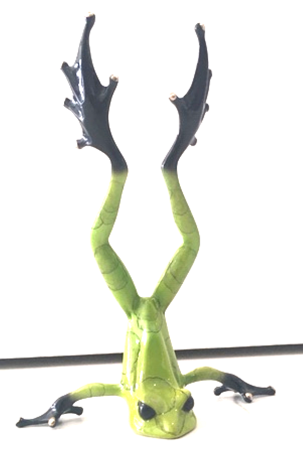 Harlequin, rare edition Frogman Bronze sculpture. Harlequin is a gorgeous, vibrant green edition of Head Over Heels! Exclusive to the US and very rare indeed.